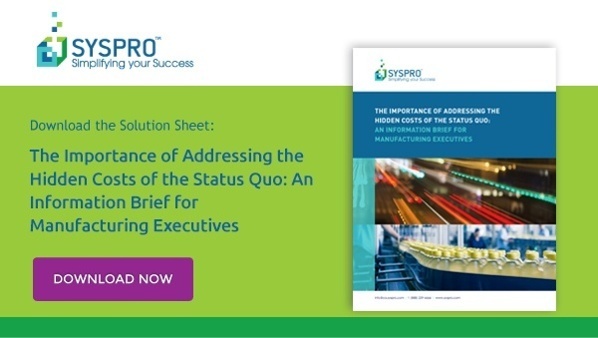 Learn why manufacturing executives must examine if they are maximizing performance and profitability, or are they struggling with on-going waste and loss. Read solution sheet. Business leaders often struggle to pinpoint the source and breadth of the waste in their organizations. Even when they are able to identify and quantify the hidden costs of inaction ("the status quo"), the process of implementing change can often be a mammoth task. The consequences of 'no action' when it comes to re-engineering their business processes for many manufacturers, has a direct and immediate impact on their success—the survival of their business. Read this information brief, designed specifically for business executives in manufacturing, which outlines why it is critical to examine business operations, and determine if they are maximizing performance and profitability, or are they struggling with on-going waste and loss—waste and loss that they know about, but more importantly, is the waste and loss that is hidden and uncovered in their businesses. Download the solution sheet here.